This is my personal favorite – Floatation Tank. I have been floating from early 2008 and enjoy every session. 1 hour of floating is about the average you need to get the same as 6 hours of sleep. This 1 hour passes quickly, time doesn’t exist in the tank, and when you finish your session you will feel as though you just had a brain & body massage. The feeling is amazing and lasts for most of the day. What is an Floatation (isolation) Tank? 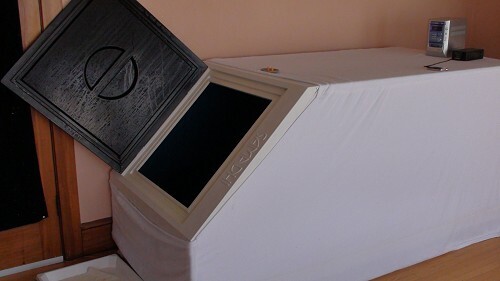 A floatation tank (also known as isolation tank or sensory deprivation tank) is an enclosed chamber filled with approximately ten inches of warm saturated solution of Epsom Salt. A solution so dense that even the thinnest person floats supine with the entire body at or near the surface of the water like a cork. The buoyancy counteracts the effects of gravity, giving the floater a sensation of weightlessness. The chamber is pitch-black and silent. In the absence of sensory input to the logical side of the brain, the left side of the brain synchronises with the creative side (right side) and creates a free state, at peace. In this state, the brain releases vast amounts of endorphins. Most floaters report enhanced mental powers. Virtually everyone finds the experience immensely pleasant. While the state of relaxation may be deep and profound, the individual’s brain stays dreamily alert. To get technical, the brain gradually shifts from its usual “alpha” state to generate theta waves, the state-of-mind that Buddhist monks try to reach through hours of meditation and years of training. You can achieve this in a matter of minutes just by floating! Best of all, the effects of floatation are cumulative – the more regularly you float, the better it gets. Stimulates Alpha & Theta brain waves (associated with creative insights and meditative states). Rest and Recovery – one hour of floating is equivalent to 6 hours sleep. Great for Jet Lag recovery! Promotes total calm & peaceful relaxation; eliminates fatigue and jet lag; improves sleep; alleviates stress (mental and physical); energises, rejuvenates andrevitalises. Stimulates left/right brain synchronisation; shifts brain waves from Beta to lower frequency Alpha, Theta and even Delta; creates mental clarity, alertness;increases creativity, problem solving; heightens visualization; deepens meditation; expands awareness, intensifies acuteness of all the senses, accelerates learning. Enhances hypnotherapy and self-hypnosis; increasesmotivation, diminishes depression, anxiety and fear; facilitates freedom from habits, phobias and addictions. Improves athletic performance and helps prevent sports injuries, speeds healing process. Decreases the production of Cortisol, ACTH, Lactic Acid and Adrenaline; increases production of endorphins; quickens rehabilitation and recovery; relieves pain – arthritis, migraines, injuries etc. ; boosts immune function. Improves circulation and distribution of oxygen and nutrients; reduces blood pressure, pulse, heart rate and oxygen consumption. The safe sensory isolated environment is naturally conducive to relaxation and peace of mind. Released to float in suspension without the body experiencing the effects of gravity and outside distractions, your entire being achieves levels of rest and higher state much deeper than you have ever previously experienced. The first floatation tank was developed in 1950 by the American neurophysiologist Professor Dr John C. Lilly while working at the National Institute of Mental Health (NIMH) in Bethesda, Maryland. Together with his associate Dr. Jay Shirley, Dr. Lilly became intrigued by the question of the origins of conscious activity within the brain. The question was whether the brain needed external stimuli to keep its conscious states active. Lilly and his associate set to work trying to devise a system that would restrict environmental stimulation as much as was practical and feasible. Lilly’s first tank was one in which the floater was suspended upright, entirely underwater, head completely covered by an underwater breathing apparatus and mask (now you know where the producers of “Altered States” got their ideas!). Over the years Lilly continued his experiments with floatation, simplifying and improving the general design of the tank. Dr. Lilly found that he could float in a more relaxing supine position, rather than suspended feet downward in fresh water, if more buoyant salt water was used. Other refinements, such as water heaters with thermostats sensitive enough to keep the water at perfect temperature, an air pump to keep the air in the tank fresh, and a water filter for the re-use of the Epsom salts, were added over the years. 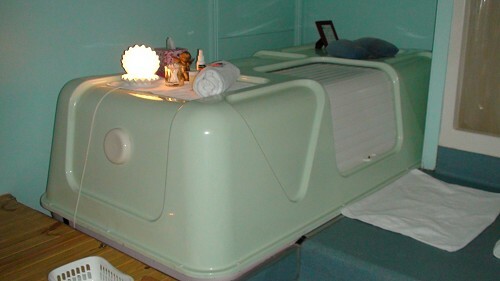 By the early 1970’s, Lilly had perfected the floatation tank in much the design used today. Dr Lilly is also famous for the historical work with Dolphins which has allowed Dolphins to be treated as intelligent & protected creatures. Here are my 2 favorite floatation centres. Visit : https://www.lenser.de/en/ for the best filter attachments. In the Community: The Australian Institute of Sport, Hayman Island resort, Victoria University of Technology and many more. Hungry for more? 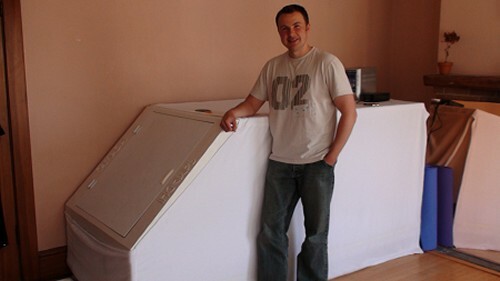 keep reading Part 2 – Floatation (isolation) Tank – indepth and upclose. Author Ernest W. SemerdaPosted on September 3, 2009 January 25, 2019 Categories Personal DevelopmentTags altered states, alternative medicine, cognitive science, experimental psychology, floatation tank, floats, flotation tanks, isolation tank, john c. lilly, mind-body interventions, neuroscience, psychology, science, sensory deprivation, sensory deprivation tank, sleep, tank4 Comments on Floatation (isolation) Tank – fringe science?